You will be seen in the plastic surgery clinic. Your surgeon will discuss surgical techniques, the desired outcomes, risks of the surgery and recovery. Please raise any questions or concerns you have. After that you may be seen at a pre­admission clinic. Bring along your prescribed or over-the-counter medications. Before surgery you will talk with your anaesthetist, who will review your health and medication details. You can read more about Preparing for your operation and Having an anaesthetic. 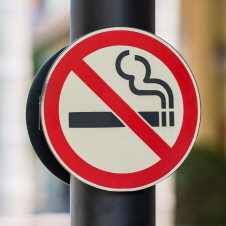 Smokers have more complications from breast reconstruction surgery. If you smoke, you may be assessed but it is unlikely you will be offered surgery until you stop smoking. Stopping smoking helps you to heal better after the operation. It also reduces the risks that go with having an anaesthetic. If you need help to quit smoking, use the resources on our page How to become smokefree. Women who are very overweight have more complications from breast reconstruction surgery. If your body mass index, or BMI, is over 35, you will probably be advised to lose weight before being offered surgery. For more information about managing your weight see Managing my weight. bring along a soft supportive bra, without underwires. We suggest a front or side-fastening sports-type bra. Breast care nurses coordinate the care of women with newly diagnosed breast conditions. They also provide education, psychological support and wound care management. They can be a first point of contact for you and your family during treatment. If you're being treated at Christchurch Hospital, you can contact the breast care nurse on (03) 364‑1804, 8 am to 4 pm Monday to Thursday, and 8 am to 12 noon Friday.